Thu and I came back to Bangkok in August for another half year of school. 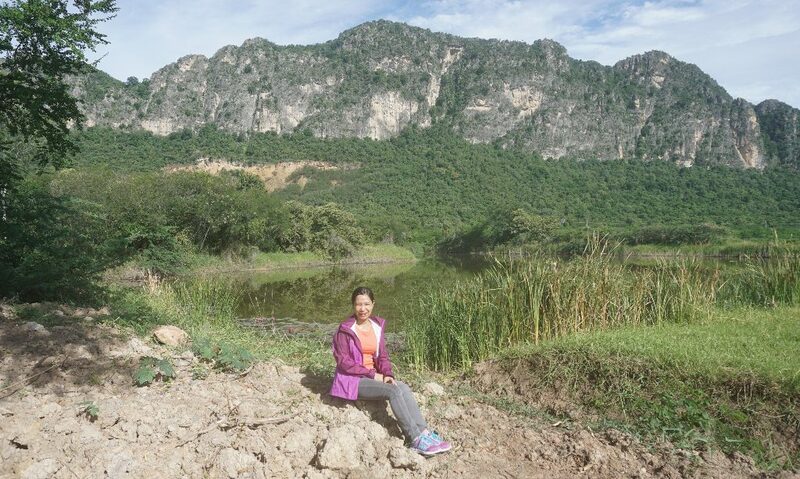 She is finishing her masters at Mahidol University. 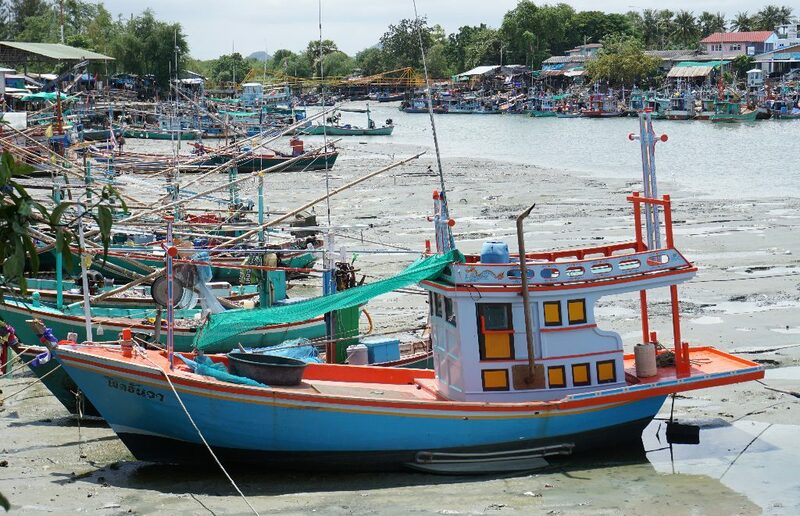 Before classes started, we went down to see Cha-Am, a beach town on the Gulf of Thailand, on Sunday. Getting there. 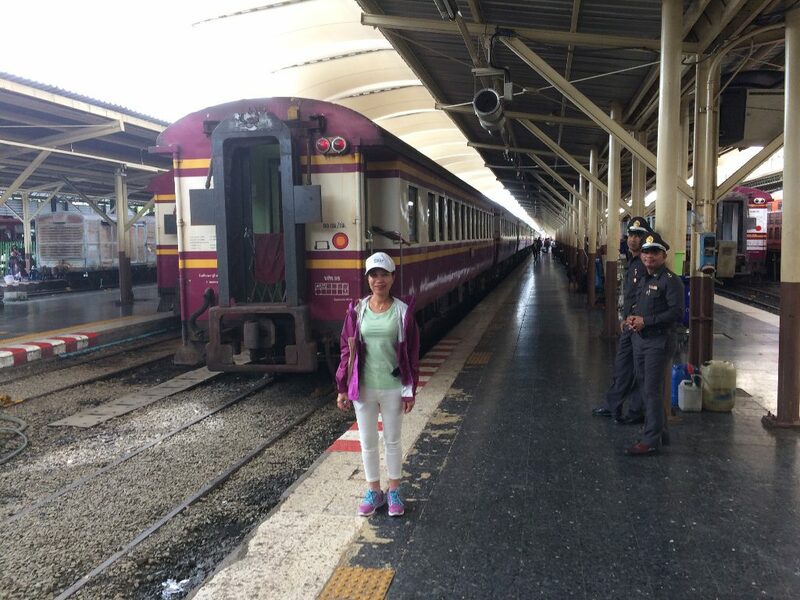 On Sunday we took the Bangkok-to-Yala train from Hua Lamphong, but not knowing what to expect, got one-way tickets, 163 baht ($5) each. From Victory Monument area, a taxi was only 160 baht vs 200 if we took BTS then MRT transit. Our only choice, buying one day ahead (at the station because can’t buy tix online), was 2nd class with little ceiling fans. I don’t think there were 1st class aircon cars anyway. Luckily it wasn’t a hot day, it was ok with windows wide open. Until halfway through we had to close them because of rain. Tons of legroom, and overhead rack for luggage. The old train had this odd swaying motion though, probably combination of poor suspension and poor tracks. We enjoyed seeing an economic cross section of Thais that we hadn’t before. Most people you come across in Bangkok are much better off. There were a couple of Chinese tourists who spoke good English to us, otherwise the rest were Thai-looking. Train took 4 hours with about a dozen stops. 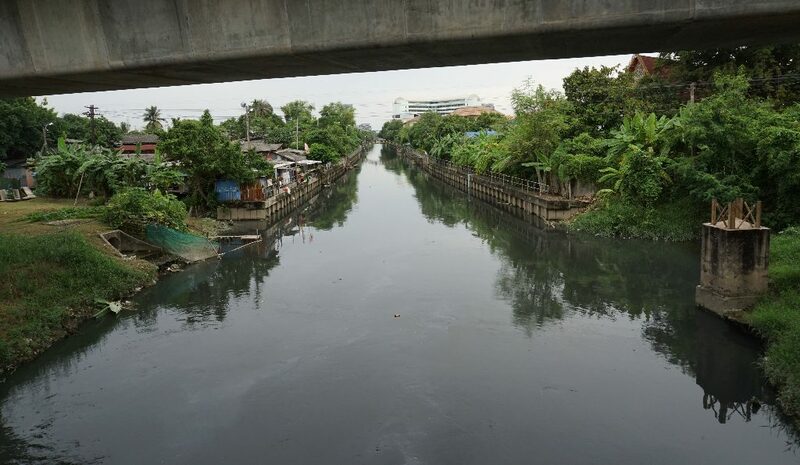 A canal as we were heading out of Bangkok. 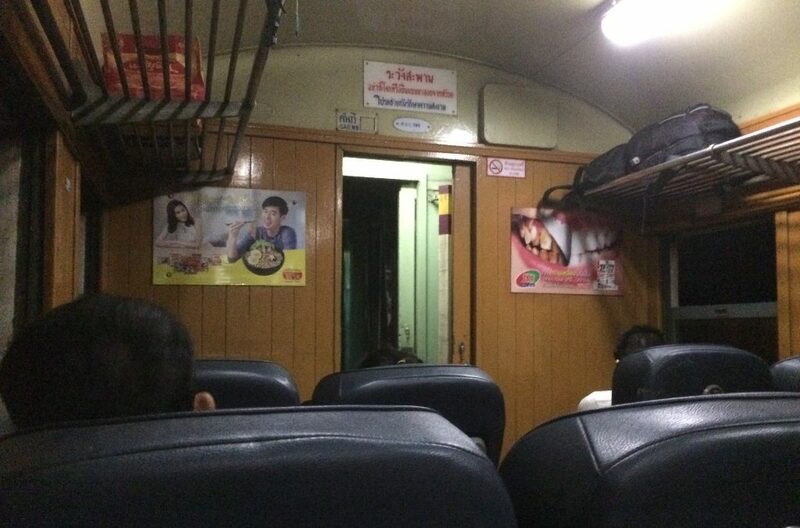 At the Cha-am station, an isolated place at 8pm, not-real taxis were cleverly waiting, we bargained to 140 baht down from 200 baht. It was over a 1 km walk in drizzle, and the guy was very friendly, so I gave him 160 baht, same as a train ticket!, but my only tip of the trip. Hotel: I picked the Srisawat Resort (all hotels are resorts now) which is on Naraphip Road, the main road to the beach, same road as the train station. We traveled budget class, didn’t want a fancy ocean front, walking distance to beach was ok, and we went Sun-Mon-Tues to avoid weekend visitors. Note that when I searched Agoda one week before, the cheapest hotels were $30 up. When I searched again on Friday, Srisawat had a sale price. 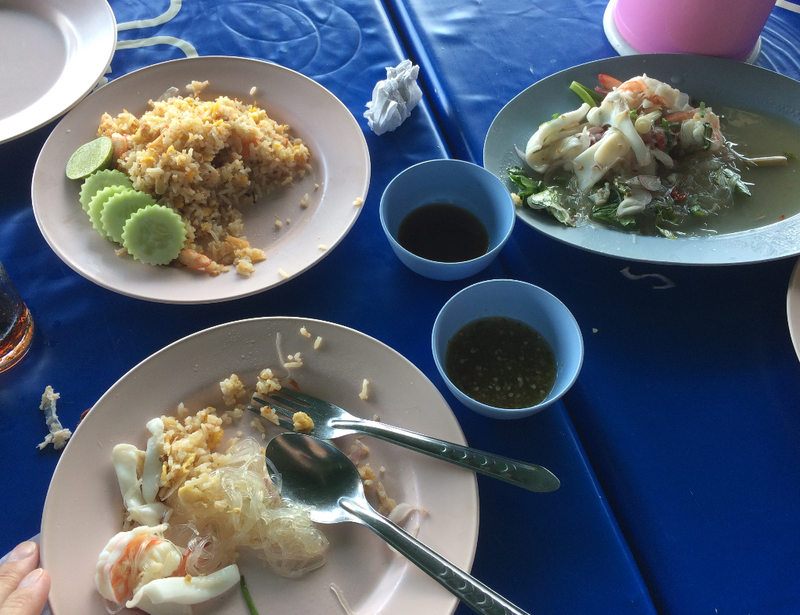 With tax, it was 750 baht/night (US$23). A procrastination payoff. We loved the hotel. About 10 individual wooden bungalows with all finished wood inside, very clean, soft bed, pool, not so good wifi. Less than half bungalows were occupied. (In the visitors log when I signed out, mine was the only readable name, the others all Thai.) One bungalow is extra big and has a deck and fish pond with 2 monster fish, over 1 meter long. 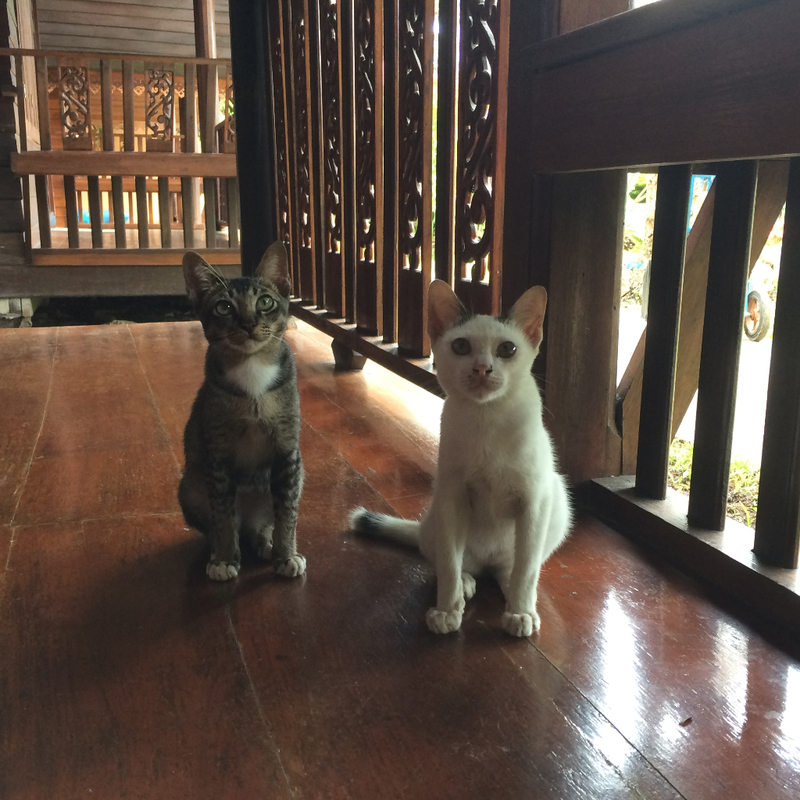 Bonus: 2 kittens to hang out with. 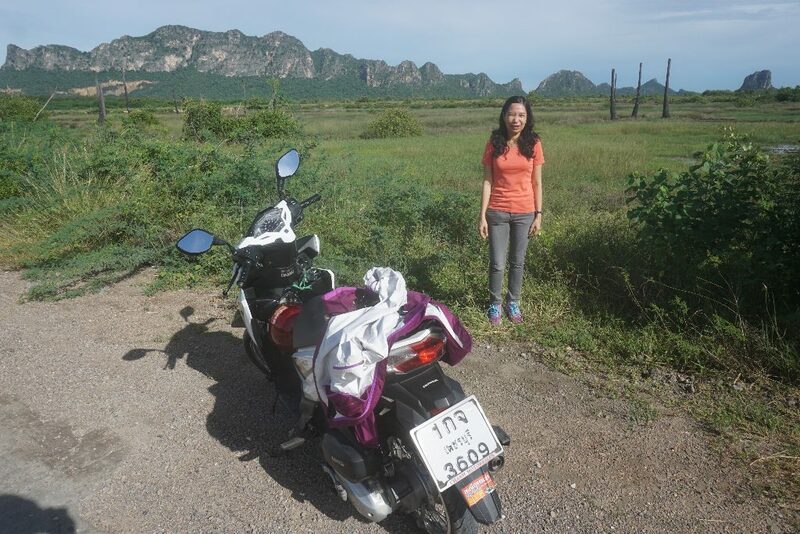 We rented a near-new Honda Click automatic motorbike at the beach for 48 hours, cheap, only 200 baht a day. Living in Saigon, we don’t worry about riding anywhere. There was very little traffic. Hua Hin. 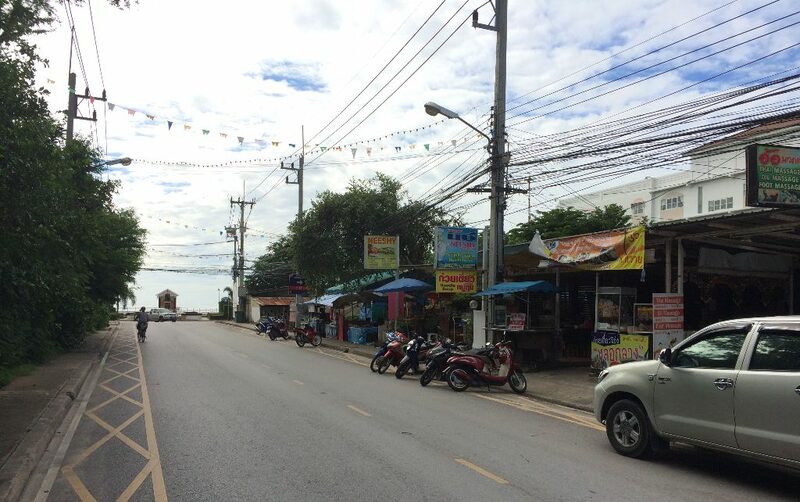 Monday morning we rode down to Hua Hin, a larger city. It took 40 minutes on route 4, a big straight road, no traffic. It reminded me of tropical Florida highways outside town, with large commercial stores, vacant lots, building projects, etc. Very clean. Hua Hin downtown I don’t find attractive: rundown, crowded, traffic. Are there sidewalks? 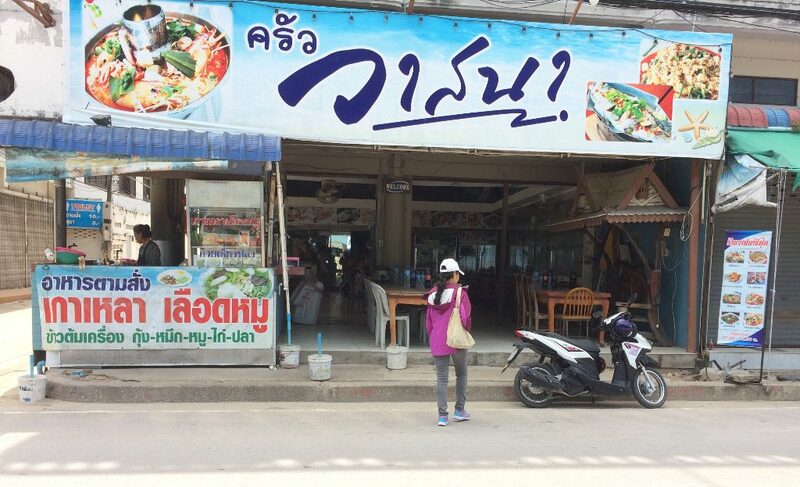 (Cha-Am downtown is identically ugly but much smaller.) We went to the really nice Market Village mall for the Monday expat meeting but failed to find the members. Apparently only two attended this week and we missed them in the large food court. 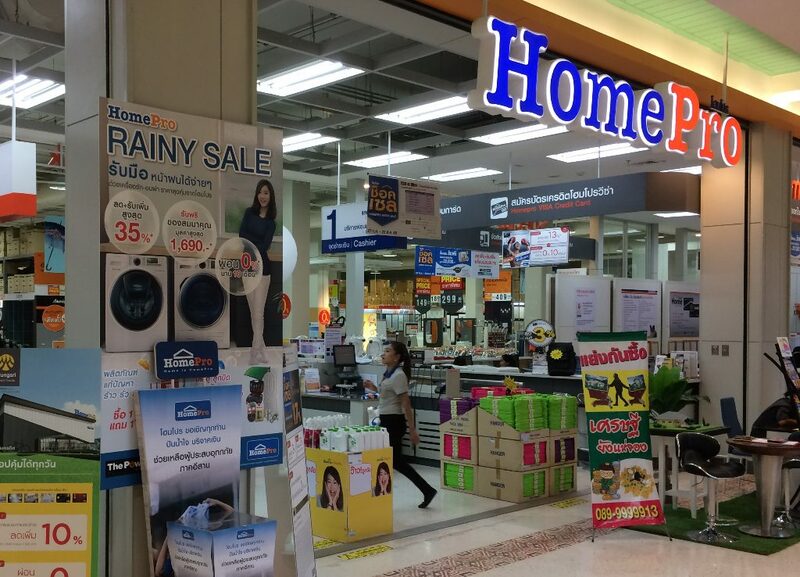 Best find in Hua Hin: Home Pro. Basically a small Home Depot like in the states, or maybe a Bunnings in Australia, tons of stuff for your house, except without raw building materials. There is nothing like it in Vietnam. I have to go to the traditional markets where stuff is squirreled away in little shops, and quality is questionable. Found a Home Pro in Bangkok too now. Back in Cha-Am. 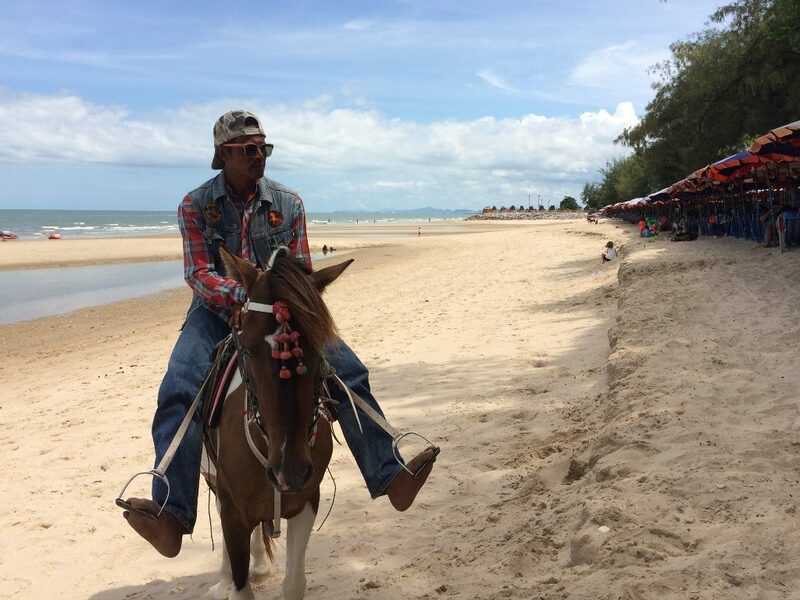 The beach is where Cha-Am beats Hua Hin. It is accessible to the road. Easy parking. Open to all. Palm trees. Food vendors. Almost empty on weekdays we were there. 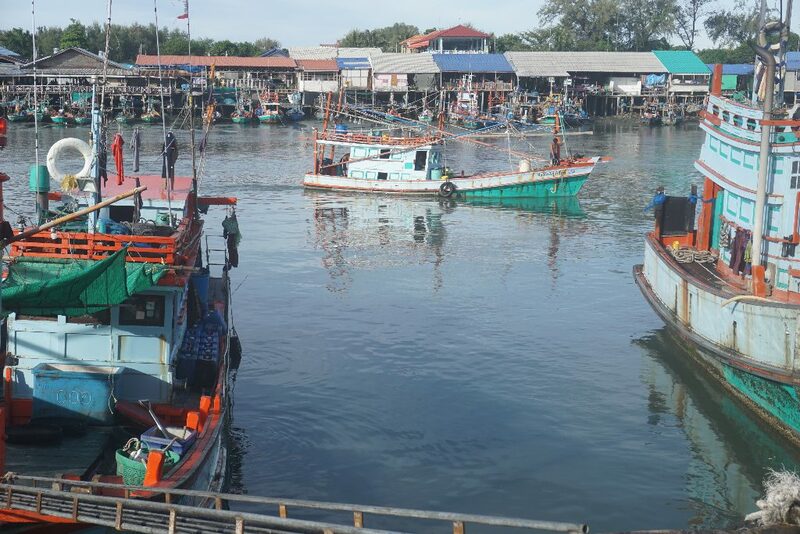 Fishing village: I really like the wooden boats in SE Asia. 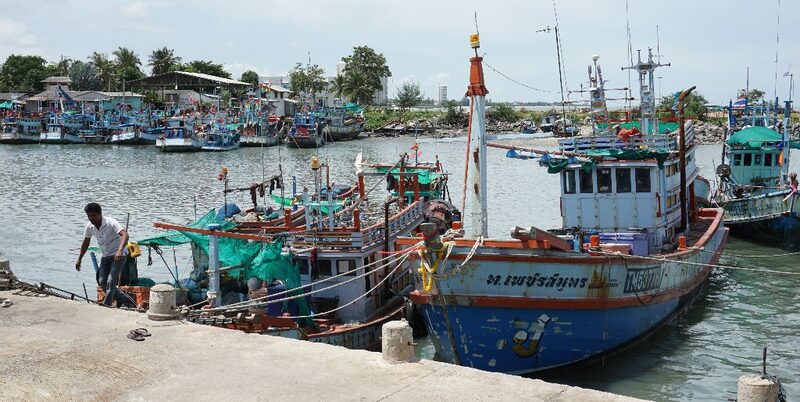 There is a fishing village along the small river north of Cha-Am beach with twin jetties to protect the boats. All accessible. To get there, you take the beach road north, and stay right of the split. 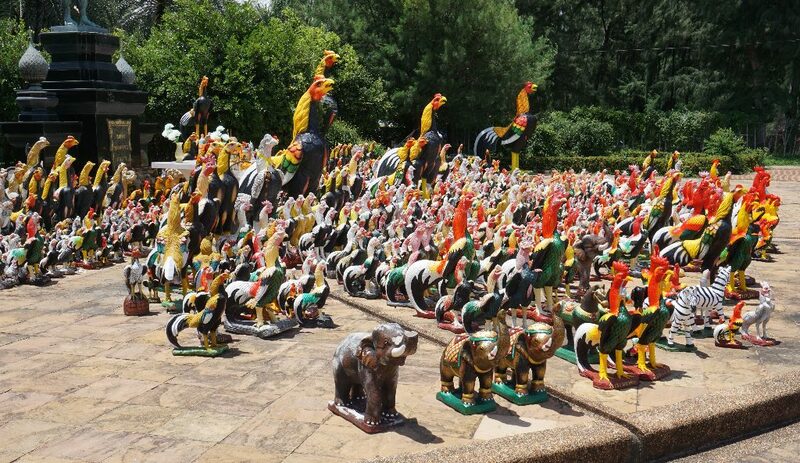 Another bonus: you pass by a park with a shrine with a thousand rooster-and-friend statues. Superstitious stuff. Individuals start to bring them and then everyone joins in because it must be a good idea. Then the road turns into two blocks of muddy potholes. Keep going! At the junction is the village. (2) Go right along the jetty, it goes out to sea maybe 300 meters. You can access the beach too. (3) Go left, there is a pedestrian bridge across the river to the north jetty. Yellow in rear of photo. 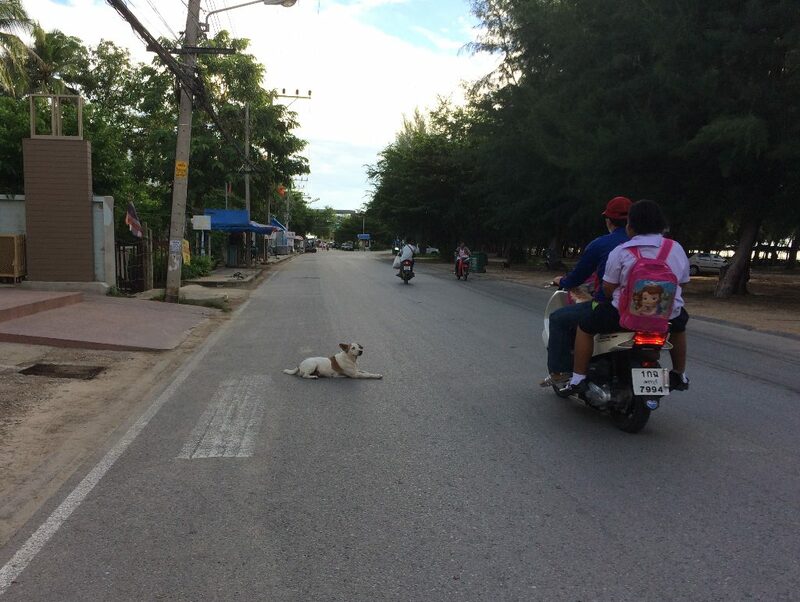 But beware on a motorbike. The bridge is wood planks, one lane, one direction at a time. Luckily I had nerves of steel, of course the locals zip back and forth like it is nothing. View across river from north jetty. Docks, restaurants, etc. Mountain: From the north jetty we could see the mountain behind Cha-Am really well. More of a hill, but the way it goes straight up is like a mountain. Limestone karst I imagine. We followed a road on google maps that would take us directly to it, but google failed. The road ends. We had to figure out a different way but got back on path. The road was empty except for one truck that passed. Nothing out there except nice scenery, surprised nobody else was going to look. 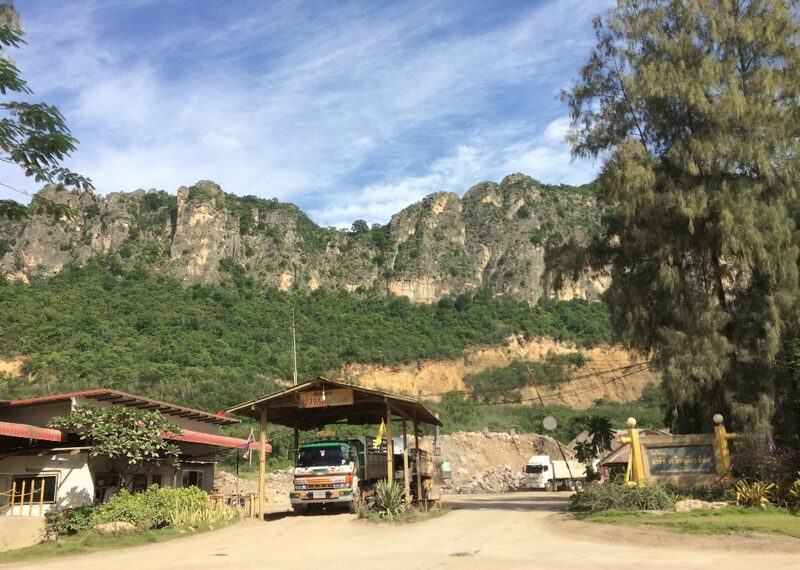 At the base is a rock quarry so lots more trucks and dust. We left a different way, a paved road south reaches route 4. 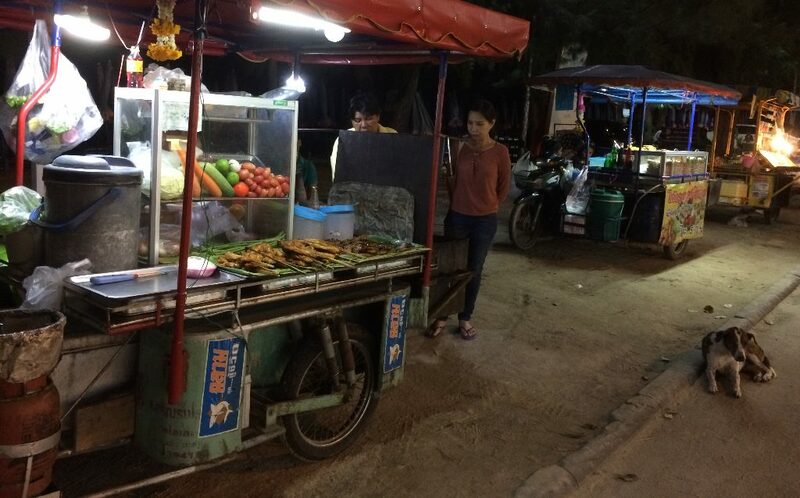 Food: There are food vendors at the beach at night. Usually I avoid these places but this was good. We tried many things, cooked on grills to order, some vendors have tables. 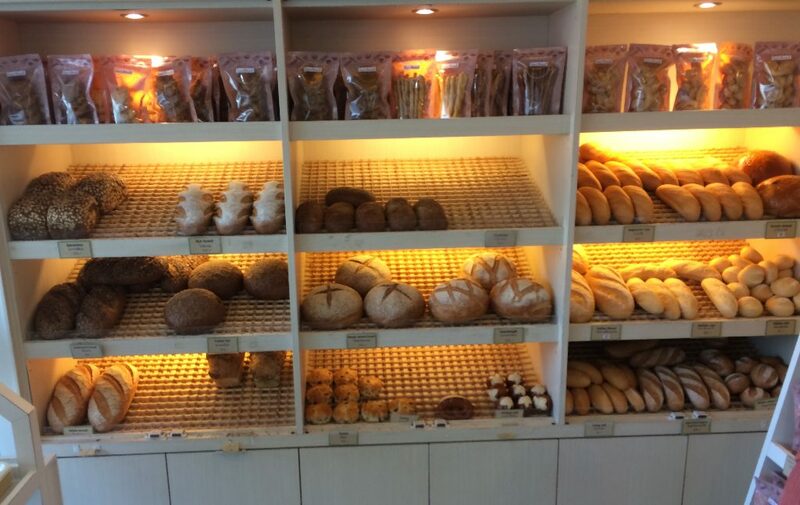 Bakery: Love Bread on Naraphip Road, great bakery, first time I’ve had real scones and sourdough bread in Asia. Beats any bakery we have found in Bangkok or Saigon. Yes, saw signs for The Baguette but didn’t go. The last night we got caught in the rain and ducked into Neeshy Restaurant. Seems to be run by an Australian and Thai couple, we only had drinks but there were hamburgers and western breakfasts in the menu. We’ll go back next time. Tiny horses (ponies?) on the beach for tourists. Didn’t see tourists actually “riding” them, instead you “sit” on the horse while the man walks it with the lead. Hmm. That’s not how we do it in ‘Murica. 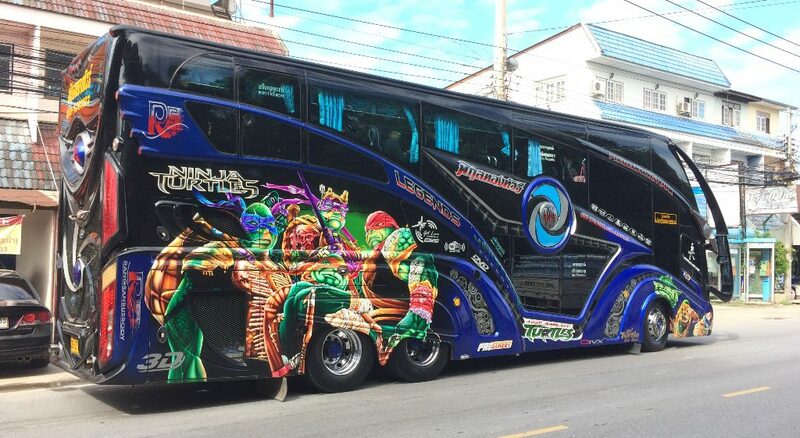 Some crazy too-big tourist buses with over-the-top cartoon graphics on the side. I think they keep the bus tourists corraled at the beach, didn’t see em anywhere else.